V.I.P. 'd Off: Should 'Golden Circles' Be Ditched? Live music is evolving in some incredibly odd ways. With the collapse of revenues from recorded music it’s where a lot of musicians earn their wages, and as such the procedures and plans of old have been inverted – instead of touring to promote recorded music new artists seem to record music to furnish their live schedules. Heaving merch stalls aside, perhaps the most bizarre addition to the summer season is the continued growth of the VIP golden circle – in reality a semi-circle, it’s where fans who pay slightly more than average are given a half-decent view, slightly closer to the act in question. Throw in a few different food stalls and shorter bar queues and that, in essence, is the golden circle experience. Yet the subtle shifts its introduction has caused is slowly, inexorably changing live music, and arguably not for the better. Fans who spend ‘quite a lot of money, thank you very much’ are often not in the mood to get rowdy, or show patience for the support acts, or even do an awful lot other than pick up their vegan curry bowl, a light ale, and sit in whatever shade they can find. Franz Ferdinand’s Alex Kapranos has played in more than a few of these crowds, and he’s had enough. The singer called out the practise onstage at Madrid’s Mad Cool festival, and repeated his complaints on Twitter. The complaints are a mark both of how distracting it can be for musicians to play in front of such a compartmentalised crowd, and also how widespread the practise has become. 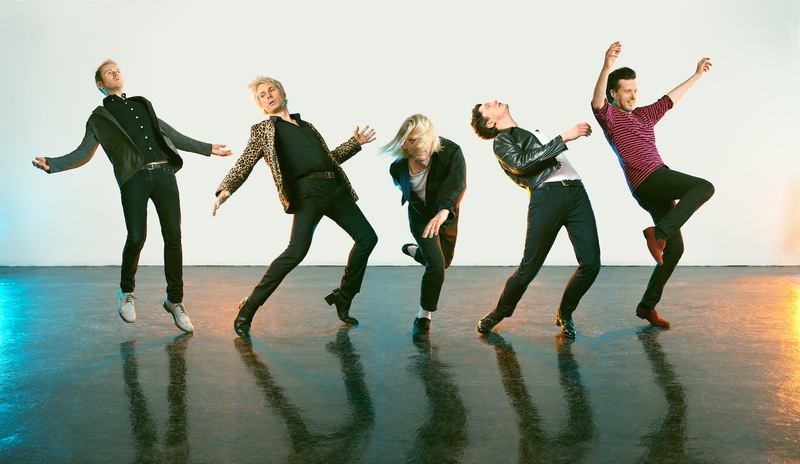 Franz Ferdinand are a busy festival group, with Alex Kapranos joining fans to note that Glasgow’s TRNSMT seemed to place “the real front row” behind “the second barrier about two miles away”. Not that this is merely used at pop festivals. Barclaycard presents British Summertime also use a variation on the ‘golden circle’ for their concerts, and fans expressed their dismay at the divide this caused at some of this summer’s shows. Equally, some larger touring acts now use the same technique – The Rolling Stones, for instance, used ‘golden circles’ on their recent UK tour, including all three London shows. There’s a temptation to argue that this is simply giving the public what they want, a means to get up close to some of their favourite acts, without having to wait by the crash barrier from the second the gates open. Yet this seems a slightly facile, ineffectual solution – after all, if the ‘golden circle’ continues to damage the atmosphere for outdoor shows, then the lucky folks in front of the first barrier might soon find large gaps in the crowd behind them. As Alex Kapranos points out, there are other places for the VIP section to reside. Perhaps special stalls at the side, or within elements of the front – breaking up the circle, rather than having it form a setting sun around a wheezing, truculent set. Furthermore music isn’t just about gaining a great view, or not having to wait 30 minutes before the bar staff tell you they’ve run out of Carling. It would be fantastic if elements of the live experience such as these were guaranteed to everyone, particularly as the average price of gig tickets continues to increase, with no real sign of added value for the average punter, the sort of people who have kept the wheels of live music turning for decades now without the need for an added wristband or a glitter-soaked lanyard. But of course, the ‘golden circle’ isn’t really aimed at the average punter. It’s aimed at the sort of people who order Pimms at festivals, complain about the cheese selection, and who try to take a deck chair in with them so that their legs don’t get tired; it’s the sort of people who streamed the headline act a few days before, and sort of remember the big single from their uni days. They’re not all Tories, but a fair few of them probably are. With that in mind, perhaps a different section would work after all – a place for good clean fun, evidently well organised, and with an impeccably chosen wine menu. It’s called the theatre, and perhaps they should try it.